It is claimed that the clothing and textile industry is one of the highest polluters. Toxic chemicals, textile waste, and, most significantly, water pollution, are all the result of the fast-fashion train moving at full speed, fueled by the incessant demand for the latest trends at ‘affordable’ prices. It can be a hard pill to swallow, but with the health and future of our planet at stake, we all have a responsibility to recognize how our lifestyles impact the world and its well-being. The good news is, you may already be taking steps towards to a more sustainable wardrobe by landing yourself here at Heddels. Our tagline of ‘own things you want to use forever‘ hints at one aspect of a more sustainable lifestyle, but there’s more to buying ecologically than simply paying more and buying less. With this series, we’ll dive into ways you can live a more sustainable and eco-conscious lifestyle. Naturally, we’re starting with clothes. But before we get there, here are some facts. It can take up to 1800 gallons of water to make a pair of jeans and 700 gallons of water to make a cotton t-shirt. The fashion industry is a huge consumer of fresh water, a basic requirement for human life that is sadly inaccessible to millions of people in the third world. It is estimated that around 20% of industrial water pollution comes from the treatment and dyeing of textiles. Every year textile manufacturers discard millions of gallons of polluted water into the worlds waterways, causing environmental damage. The average American discards about 80 pounds of textiles per year. Discarded textiles are sent to landfill sites where they pile up and produce greenhouse gases that are released into the atmosphere. Some garments can take up to 40 years to decompose and shoes can take up to 1000 years to break down. The chemicals and dyes present in dumped clothing and footwear can penetrate into the earth, contaminating soil and water. There’s a caveat. ‘Sustainability’ gets thrown around a lot, but there is no agreed-upon set of metrics that certifies a thing as ‘sustainable’. Though improvements in technology and insights through scientific research will always move the needle and re-orient the definition of sustainable, we’ve come up with a few ways that can put you in the right direction. Pay more, buy less. This can seem counter-intuitive, but investing more money in a smaller quantity of high-quality pieces that you will respect and cherish is one of the biggest steps to a more sustainable wardrobe. High-quality clothing will last longer and age gracefully, leaving you with fewer reasons to buy a replacement or alternative piece. This mindset applies to all aspects of the wardrobe, right down to your underwear! Think of how many pairs of cheap socks you may have thrown in the trash when your big toe busts through the end. Chances are they are all in landfills, rotting and contributing to a global crisis. Now think of the millions of other people that do the exact same thing, each time replacing the broken socks with more cheap socks that will all be rendered useless once in a few months time. Breaking this cycle and choosing quality socks from brands like Anonymous Ism or Chup will leave you with nicer looking socks that last a lot longer, reducing the need for cheap, disposable replacements. The same can be said for welted leather boots and shoes. Coming at a higher price point, footwear of this ilk will last for years if cared for properly. A leather welt allows for footwear to be re-soled, meaning you can renew welted boots or shoes for an affordable price, eliminating the need for a replacement. There are arguments for and against the sustainability of the leather industry, but it’s hard to beat leather for longevity and durability. High-quality clothing and footwear generally maintains more monetary value that cheap mall/high street product, meaning that even if you fluctuate in weight or simply get bored of a particular item, you can sell it on and reduce someone else’s product consumption while making some of your money back. Of course, this does not apply to used socks, but you get the point! Rather than gambling on online purchases, use brick-and-mortar stores to invest mindfully in high quality clothes that work for you. We’re not renouncing online shopping by any means and we recognize that there are many businesses out there that rely solely on eCommerce, however, nothing beats the almost forgotten ritual of actually trying something on. Buying multiple sizes online leads to unnecessary postal returns, with many companies using un-recyclable single-use plastics to pack their items for shipping. You’re less likely to return something after seeing it in person and sizing it up for yourself, meaning that buying your clothes from a brick-and-mortar store can reduce the carbon footprint of your purchase by cutting out the need for postal services. The vast majority of men’s clothing is made from cotton. While cotton is essentially a natural fiber that will biodegrade, its crops are environmentally demanding and the majority of cotton crops are sprayed with pesticides and insecticides that contaminate soil, water, and poison animals. Hemp and linen are two fabrics that are widely considered to be more sustainable alternatives to cotton. 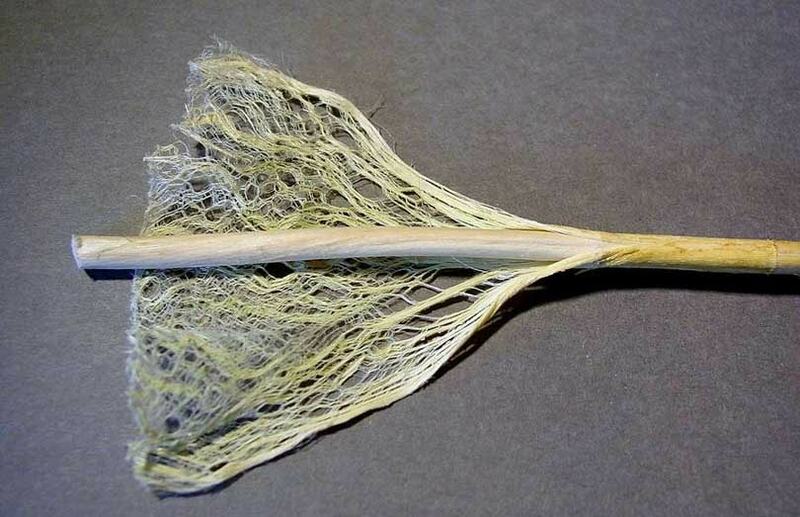 Hemp fabric is versatile, durable, and biodegradable. In addition, hemp crops require much less water than cotton and produce 3 times more fiber per acre. Linen is a lightweight, breathable fabric made from the flax plant. Flax crops demand much less water than cotton crops and require little to no chemical treatments. Both linen and hemp can be blended with cotton, but there are brands out there like Jungmaven who specializes in 100% hemp t-shirts and passionately promote the use of hemp fabric for environmental reasons. New York-based label Blluemade also champions the use of linen in their collections with sustainability in mind. Buying used clothing is a great way to reduce your consumption of products and find some gems while doing so. As well as saving you money, buying second-hand goods contributes to the reduction of textile waste and allows you to know where your money is going. Buying from thrift stores, in particular, reduces transportation-related pollution as the majority of items will have been donated by local people. Get to know your local thrift spots, and be sure to check them regularly. Vintage stores have become hugely popular in the past decade and they can be a gold mine of timeworn treasures if you look hard enough. Even If your hometown is devoid of vintage stores, you can log on to Etsy and peruse the hundreds of decent vintage outlets and even sell your own pieces. Repairing your clothing doesn’t just improve its longevity, it can add a completely unique edge to your garments. You only have to take a moment to peruse our daily fade features for an exhibition of how repairs can bring rugged character to your clothing. As well as the typical structural repairs, you can get creative by upcycling old clothing into patches, lining, and decorative detailing any garments in need of some form of renewal. I, for one, keep all off-cuts from the hemming of my raw denim jeans and use them for patching up garments when they eventually tear or fray. Old flannel shirts also make for great patching material, something you can easily pick up in a thrift store for a small sum. Many simple repair and up-cycling jobs can be done at home with basic equipment and a bit of practice, especially jobs like replacement buttons and basic patching. If you don’t fancy diving in yourself, a good local tailor will be happy to assist. 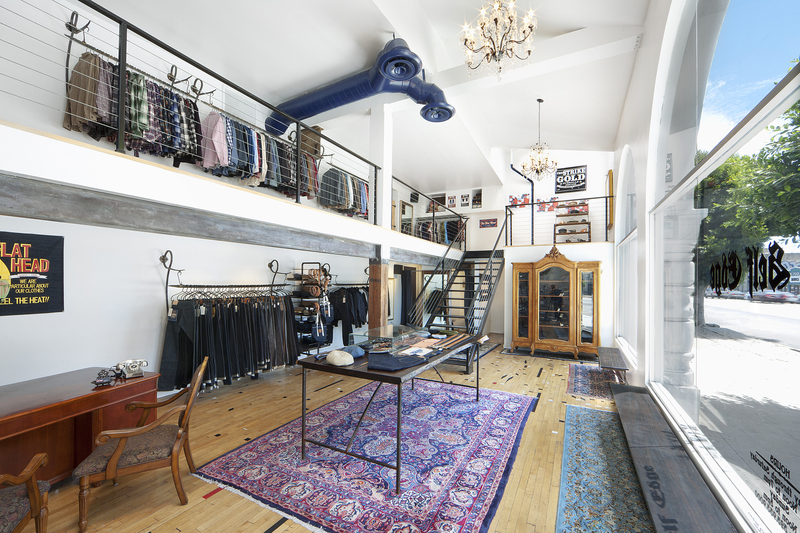 When it comes to raw denim, you can take your blue goods into stores like Self Edge or Railcar who will patch up and reinforce your denim using vintage machines and quality hardware. Up-cycling is on the rise and many up-cycled garments can fetch a pretty penny. There is untold potential in re-purposing old garments and vintage fabrics, with brands like Kiriko Made and Atelier & Repairs just two examples of businesses with foundations built around this concept. You can also visit Trading Post L.A. for an interesting range of up-cycled garb.